Newly-crowned FIA European Rallycross Champion Reinis Nitiss is the latest big name to join the RallyX Nordic presented by Cooper Tires ranks for the final round at the Tierp Arena in the SRT Supercar Lites entry. 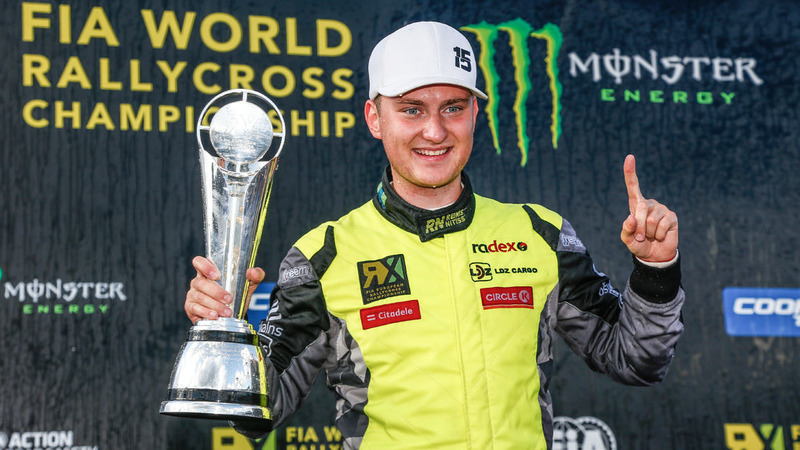 A winner at World RX level, Nitiss was crowned European champion for Supercar this season after dominant performance that yielded three wins from five events. To round off a landmark 2018, Nitiss will now turn his hand to Supercar Lites in RallyX Nordic at the wheel of the SRT machine, where he will compete alongside Vasiliy Gryazin. An opportunity for Gryazin to learn from the experienced Latvian, who finished third overall in World RX in 2014, SRT director Girts Kruzmanis says his arrival is a welcome end of season boost the team. “Having the new European Champion join our team is probably the best thing for us and our RX2 driver Vasiliy Gryazin. I feel that it will provide a boost of energy and motivation for all of us. Having people do what they love and do it very well is what keeps teams all over the world, just like us, going. “Reinis Nitišs is very talented, but the best thing about him is his need for speed, for success and our team is built the same way.